Data from the Central Bureau for Statistics (CBS) revealed the vast majority of refugees have remained unemployed and living off welfare in the two and a half years since they were granted work permits. Of the 15 per cent who are in employment, the majority of whom are Syrians and Eritreans according to Die Telegraaf, most of the refugees who found jobs are only working part-time. Dutch immigration researcher Jan van de Beek said that the number of people granted asylum in the Netherlands who enter the jobs market will increase, but only to a limited extent. Having analysed the participation in the jobs market of asylum seekers who arrived in the Netherlands between 1999 and 2005, he predicted that the proportion of refugees in work would rise to around 40 per cent in a decade’s time. According to the mathematician and anthropologist, part of the problem lies in the fact there is little financial incentive to move off unemployment welfare into unskilled work. “And furthermore it is of course just very difficult to find and keep work in a totally different country,” he added. 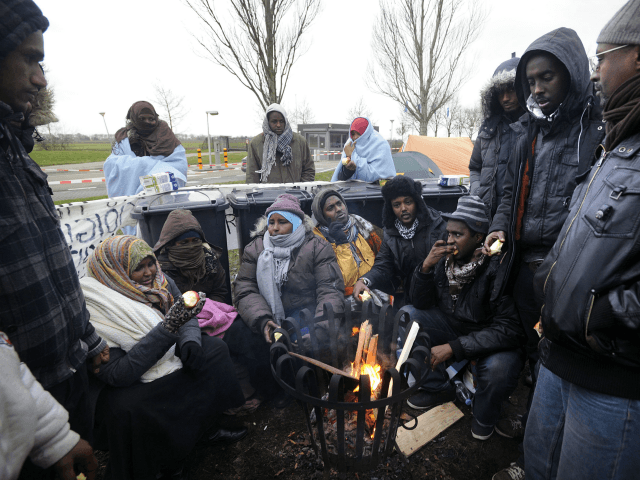 Last week, Van de Beek warned that the Dutch welfare state will collapse unless the nation closes its borders to migrants from the third world, each of whom on average costs the state €120,000 over their lifetime. Questioned over the fact critics say it is “immoral” to judge people by their economic profile, Van de Beek said he believes the word better fits his open borders-supporting opponents, who he argued are happy to make worse the lives of Dutch people “on the lowest incomes and who hold the least power … who are already under pressure from automation and globalisation”. “Politically correct people wantonly ignore the fact that every euro can only be spent once, and every time you have to weigh up whether you want the government to work for your fellow citizens or for the rest of the world,” he said.